Inbound Numbering Services (also sometimes known as Cloud Numbering or Non-Geographic Numbering) allow you to manage your inbound calls more efficiently, enabling you to provide higher levels of customer service and giving those customers much more control when it comes to them contacting you. Why does my business need Inbound? 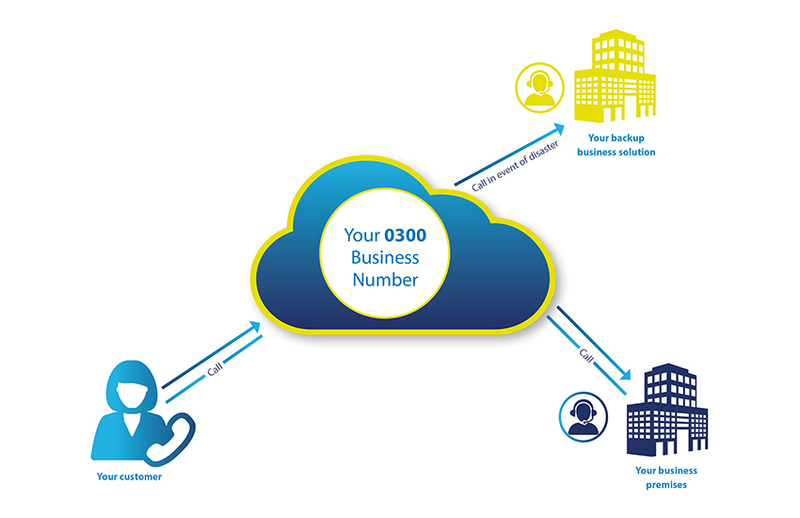 This is a flexible, easy-to-control virtual numbering system that allows a business to set up a dedicated 0300 or 0800 number, or series of numbers. Geographically specific numbers are also available, meaning that a Bristol based business, for example, can still attract an audience that is situated elsewhere across the country. Cloud-based inbound services (those calls hosted on a platform in the ‘cloud’) are secure, reliable, and in some cases can eliminate line rental costs. You can decide where exactly to point a call towards, and factor in days of the week, working hours, and out of hours calls. Geographical or logistical considerations including routing a caller to the nearest office to a caller’s location, diverting calls to voicemail, or translating call content into email, are easy to manage. The implications for Disaster Recovery are great: your main business number can be put onto a cloud numbering service, and in the event of a disaster, be redirected anywhere in the world you choose so that your customers can still get in touch with you and business can continue as usual. Cloud Numbering solutions are suitable for sole traders, multi-site or multi-departmental organisations or companies that operate large contact and call centres. We have a number of Inbound options available for companies looking to control their inbound calls much more effectively. We can offer basic single numbers or full services with multiple numbers, depending on your business requirements. Interested in our Inbound Numbering solutions? Get in touch, we’ll call you back. Want to find out more? Our Inbound experts are on hand! Call us on +44 (0) 333 2000 903 to discuss your needs.